This week for a client proposal I’ve been pulling together all the electricity exhibitions, exhibits and activities that I’ve worked on over the years. There have certainly been a few! 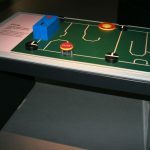 Electricity is a great topic to cover with hands-on exhibits but there are so many different styles and approaches depending on the audience and storyline. Electrical exhibits can be artistic, like these “crackle tubes” by Wayne Strattman, designed as an attractor object to draw the visitor’s attention. This approach has a long and illustrious history, with clear lineage back to public demonstrations of the 19th century. The Royal Institution‘s Christmas Lectures were created by Michael Faraday and first held in 1825, Faraday once held the post of Ri’s science demonstration technician and himself presented the 1829 lectures on the topic of Electricity (Electromagnetic induction being one of Faraday’s great discoveries), wow-ing the public with great arcs and sparks. Enquire at the National Museum of Scotland is a gallery, aimed at adults and teenagers, which investigates the development of scientific knowledge and enquiry. 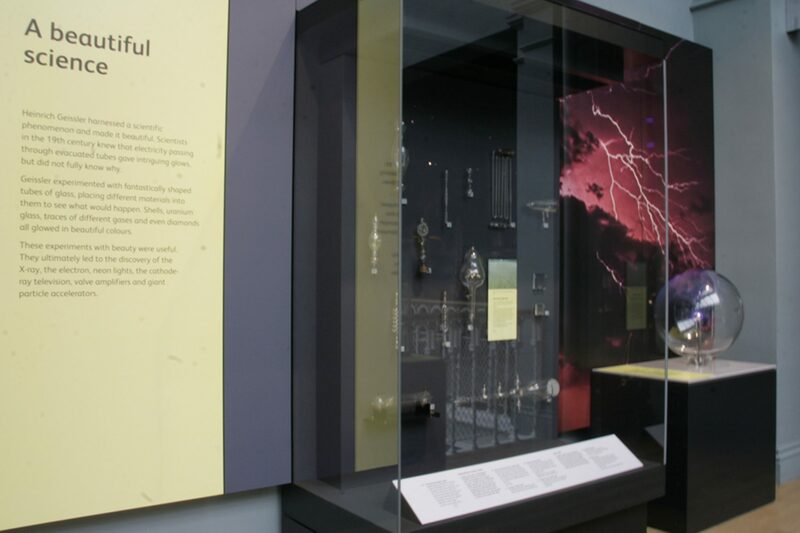 In this gallery, we developed exhibits to emulate the excitement of the early 19th Century electrical demonstrations before the gallery goes on to explore the study of the building blocks of matter, the equipment used for seeing subatomic particles, and the search for (and discovery of) the Higgs Boson at CERN. 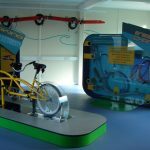 Energy Lab at the National Mining Museum Scotland at Lady Victoria Colliery has a very different look and feel as it is a learning space for primary school classes. For a generation born after the turn of the millennium, the link between coal mines and household electricity is far from obvious. 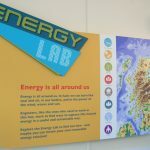 The Energy Lab allows primary school groups to explore how electricity is generated from kinetic energy and learn about different sources of that kinetic energy. 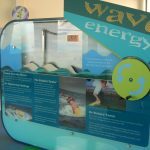 Wave power is explored in some detail as the Energy Lab is located in the portable classroom that was once the home the University of Edinburgh wave power research group, where Stephen Salter worked on his famous ‘ducks’ in the 1970s and which gave rise to the spin-off companies at the forefront of wave research today. 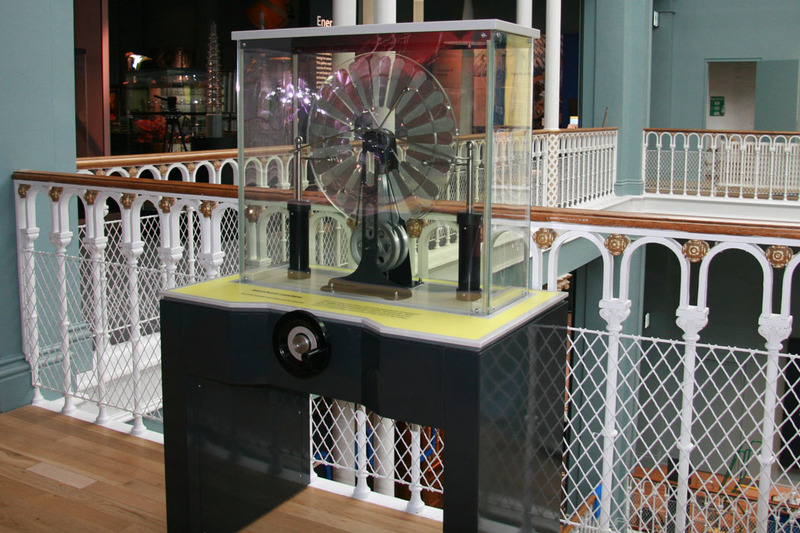 Energise at the National Museum of Scotland also covers the story of the generation of electricity but for a much broader audience of families with children age 8 and above, as well as teenagers and independent adults. 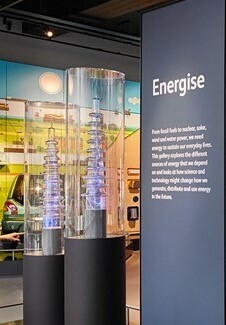 Energise investigates the harnessing of energy through the generation and distribution of power. The Wayne Strattman designed ‘Crackle tubes’ above form an attractor and the centrepiece is a huge human-powered ‘Energy Wheel’. 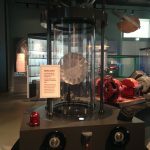 The gallery explores different sources of energy including fossil fuels, nuclear and renewable energies (including a hands-on wave tank and a hydroelectric turbine). 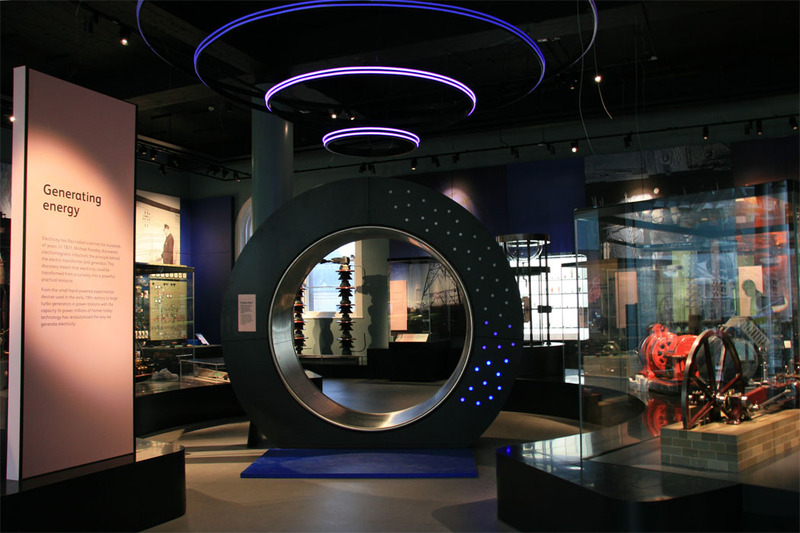 It encourages visitors to consider the energy challenges that we face today, the impact of choices people make and to develop informed attitudes about the future of energy. 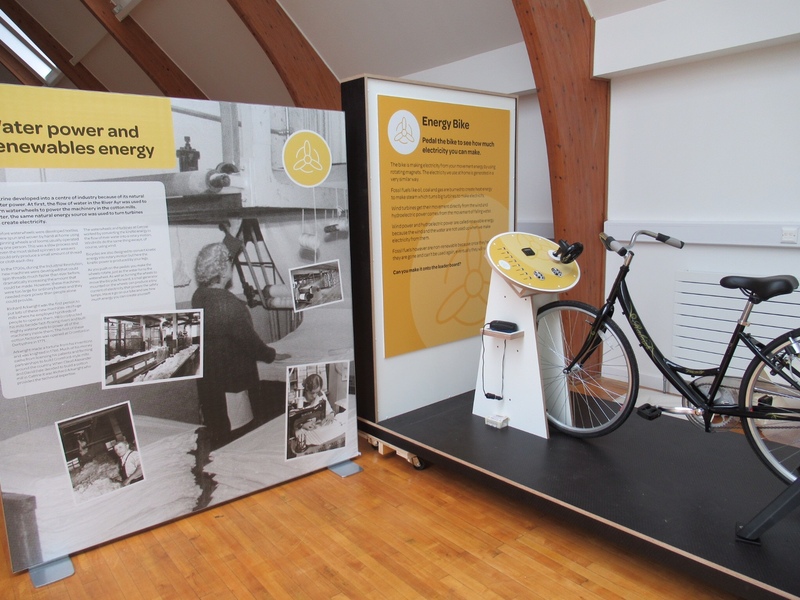 The Community Education and Visitor Interpretation Centre (CEVIC) at Catrine in East Ayrshire tells the story of the past, present and future of the village of Catrine. The village was an important textiles manufacturing site from the late 18th Century and mills operated in the village up until the 1960s. The reason for the siting of the first mill was the water power of the River Ayr which runs through the village, this power was first harnessed mechanically with huge water wheels, but later was used to generate hydroelectric power. Currently, the community is working to re-open the hydroelectric plant to generate their own clean, renewable electricity for a sustainable future. Electricity exhibits have come in and out of fashion, there are certainly fewer around now than when I first started in science communication in the late 1990s. 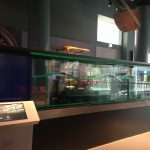 There may be a generation of exhibit builders and museum and science centre staff who became jaded by the same ‘usual suspect’ exhibits. However we are currently in a period of great change regarding how we generate, store and use electricity and certainly the challenges we face are no less than they’ve ever been. It is important to provide opportunities to learn about electricity, and with just a little imagination and creativity we can do it in an exciting and fun way.